In seven months of 2016, 410,000 criminal offenses committed. During the first seven months of 2016 410,000 criminal offenses are reported in Ukraine, which is 25% more compared to the same period last year, Prosecutor-General Yuriy Lutsenko told the 21 September meeting of the profile committee of the Verkhovna Rada. The number of homicides dropped from 2100 last year to 1200 this year, however solely thanks to Donetsk region. At the same time, the number of murders increased in Zakarpattya, Ivano-Frankivsk, Lviv, Kyiv, and other peaceful regions. According to Lutsenko, 70% of all registered crimes were thefts. The number of burglaries grew 38% to 221 thousand cases. The largest increases were in Zhytomyr, Mykolaiv, Odesa, Volyn and Kharkiv regions, and in Kyiv. The number of robberies soared 40% to 16.2 thousand cases, notably in Rivne region (80%), Volyn (72%), Odessa (63%), Dnipropetrovsk (57%), Kyiv (54%), Zaporizhzhia (53%) and Kyiv (59%). The number of violent robberies grew 30% to 2.4 thousand cases. The largest increases were in Cherkasy, Odesa, Chernivtsi, Dnipropetrovsk, Ivano-Frankivsk, Lviv and Rivne regions. In Kyiv, 25 thousand crimes have been committed in public places, a 2.3-fold growth over the same period last year. A similar situation was in Ivano-Frankivsk, Kirovohrad, Odessa and Rivne regions. The number of autothefts increased 16% to around 7,000 cases. On average, 33 vehicles are stolen every across the country. The number of traffic accidents jumped 20% to 86 thousand cases. The same growth was seen in the number of road accidents with casualties - 14.8 thousand cases. Fatal road accidents took the lives of 1,761 people, and 19 thousand people got injured. In Ukraine, non-fatal road incidents take place every 20 minutes. Fatal road accidents happen every three hours. The number of traffic violations increased by 40%. 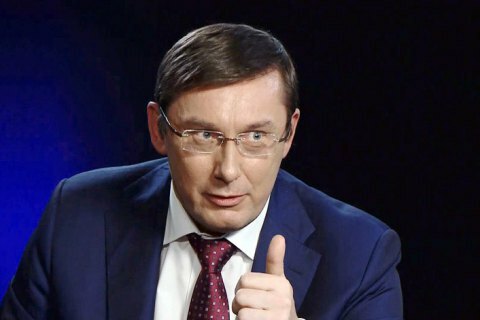 According to Lutsenko, the main factor of the crime rise in Ukraine is the war.